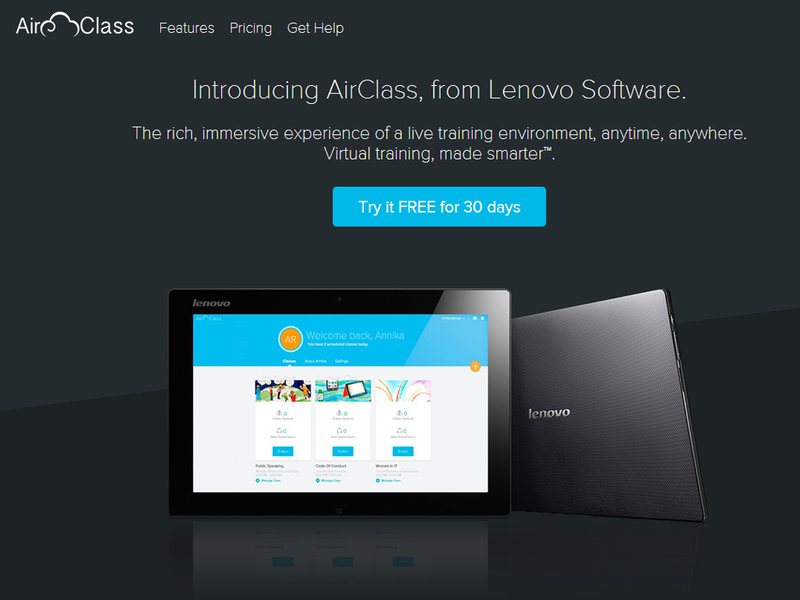 Just recently at the 2016 Consumer Electronics Show (CES), Lenovo announced AirClass – our answer to a better virtual learning experience for corporate training to distance education.Virtual learning continues to grow at staggering rates: The number of students participating in online or blended learning rose80 percent in the past five years, and 74 percent of companies use virtual learningfor employee training. They designed AirClass around a simple-to-use dashboard for both instructors and students,with tiles for documents, photos and videos sharing, and a live chat. Unlike virtual meeting solutions, AirClasslets you play back an entire class or training sessionin the sequence in which it occurred,andthe emotions analytics feature tracks student engagement by capturing and analyzing video from their personal webcams. Analysts predict the market for emotion-analyzing software to reach as high as $10 billion worldwide in five years, and AirClass is among the first to bring this capability to virtual learning. Here’s how it works: Students can opt in to let their laptop camera capture video of them during the class, which is combined with other students’ data and analyzed to produce a report of the student’s attention and engagement during the presentation. AirClass provides the analysis to the instructor as part of the AirClass Replay. Then it’s up to the instructor to make any adjustments to his or her presentation style and content in future sessions.